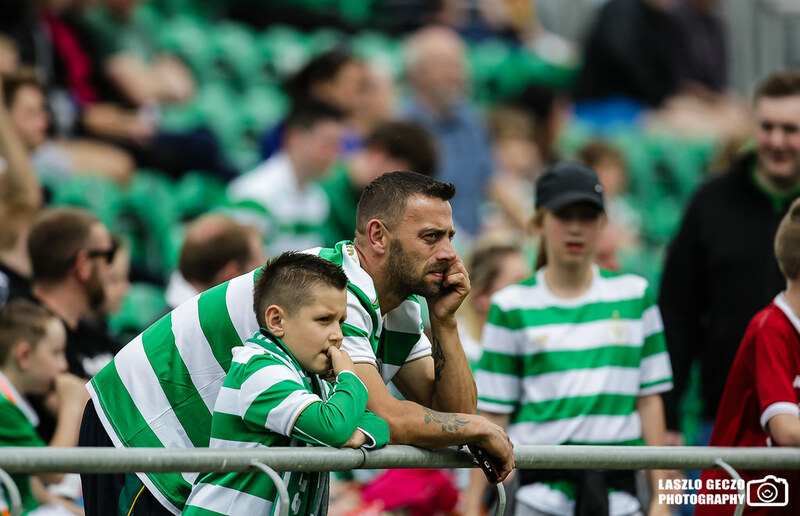 A full-strength Glasgow Celtic side steamrolled a callow Shamrock Rovers side stacked with triallists and underage players 9-0 at Tallaght Stadium on Saturday afternoon. 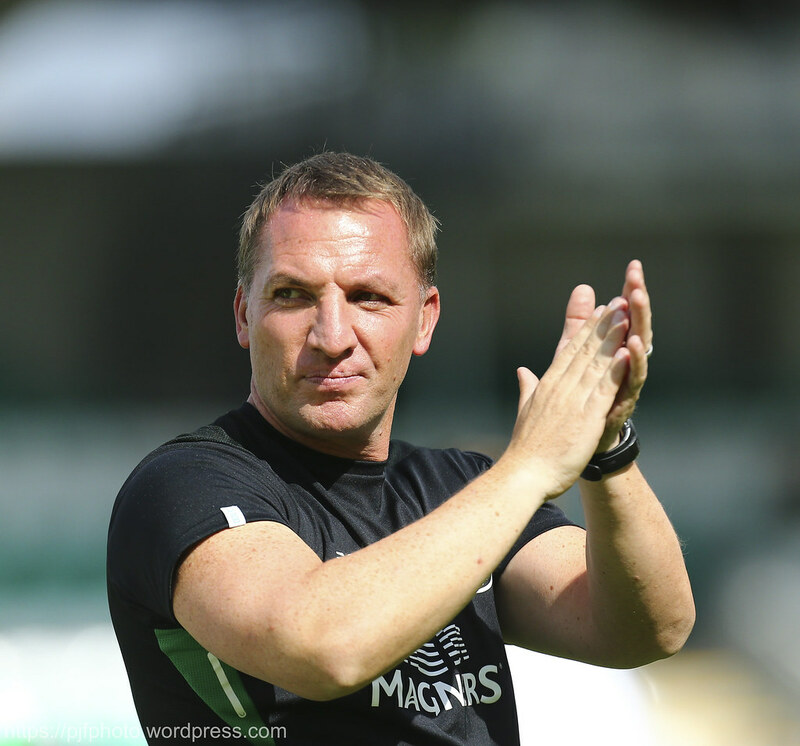 On a bright and placid day in south Dublin, Brendan Rodgers' side eased to victory thanks to goals from Mikael Lustig, Stuart Armstrong (2), Moussa Dembélé, Scott Sinclair (2), James Forrest, Jonny Hayes and Tom Rogic. 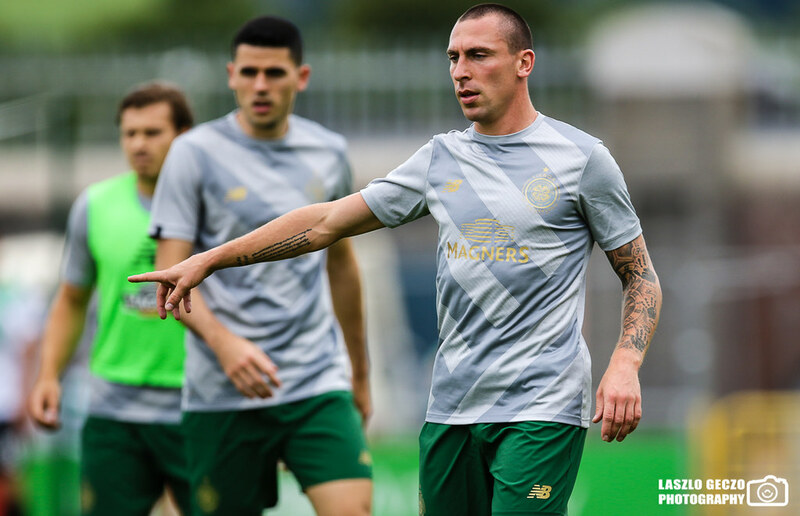 Rodgers lined out a full-strength XI as he looked to get his team up to speed ahead of next Friday's Champions League qualifier against Linfield up the road in Windsor Park. 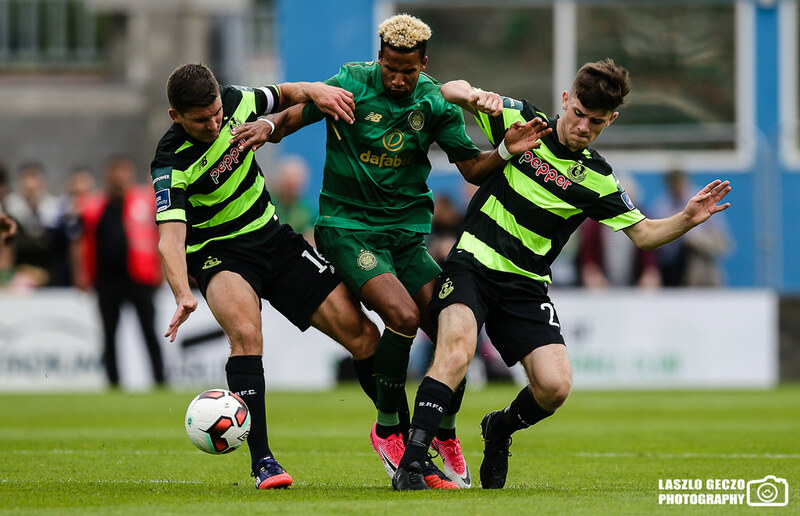 Hoops boss Stephen Bradley had different priorities, with a home Europa League game against Czech side Mlada Bolelsav on Thursday, and he rested all of his frontline players. 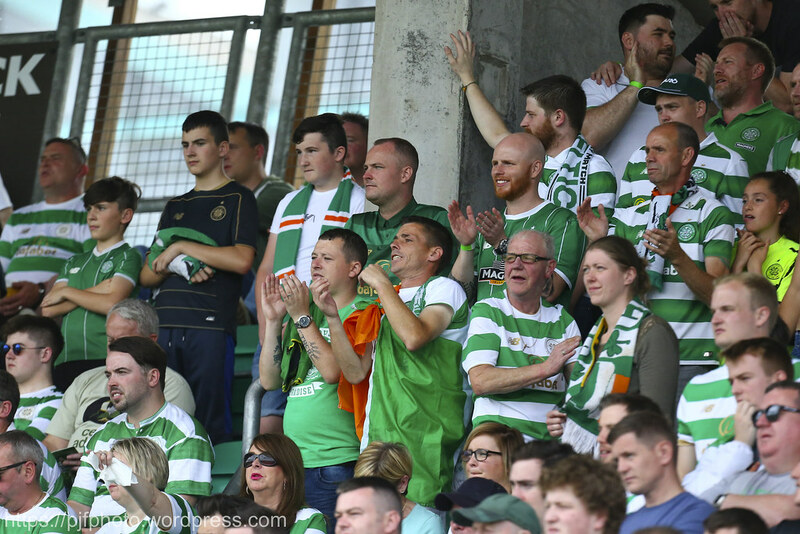 It made for an unusual atmosphere on an otherwise pleasant afternoon as the Rovers fans, outnumbered by ten to one, provided more audible support than all but a pocket of travelling Scottish fans. They continued to sing even as the goals against column racked up while the visiting supporters continued to applaud enthusiastically each time their side breached the increasingly youthful Rovers backline. 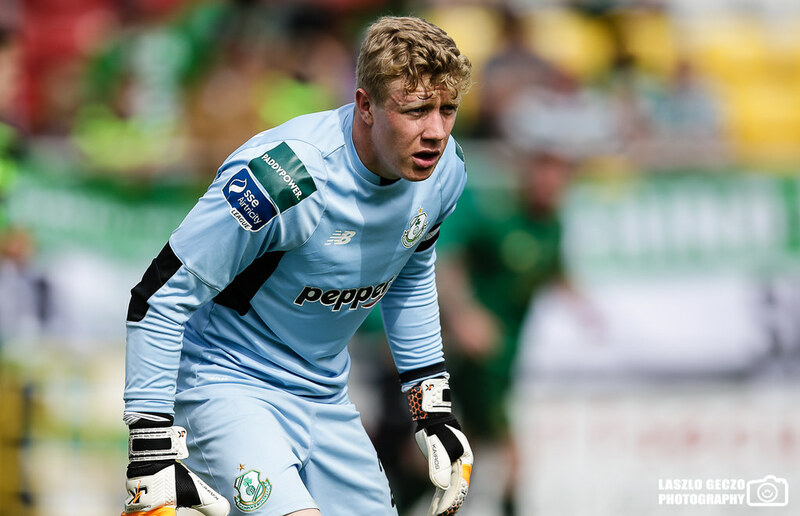 Youngsters Sam Bone and Sean Boyd impressed for the Hoops, while Aaron Bolger was industrious despite being physically outmuscled in midfield, where Bradley's 4-4-2 formation left him with a lot of ground to cover. The home side could, and probably should, have taken the lead within the first minute of the game as Boyd found himself unmarked but could only nod Darren Meenan's cross past the post. And the striker went even closer shortly afterwards with a spectacular effort that, had Craig Gordon not been so light on his feet, would surely have gone on worldwide highlight reel rotation. 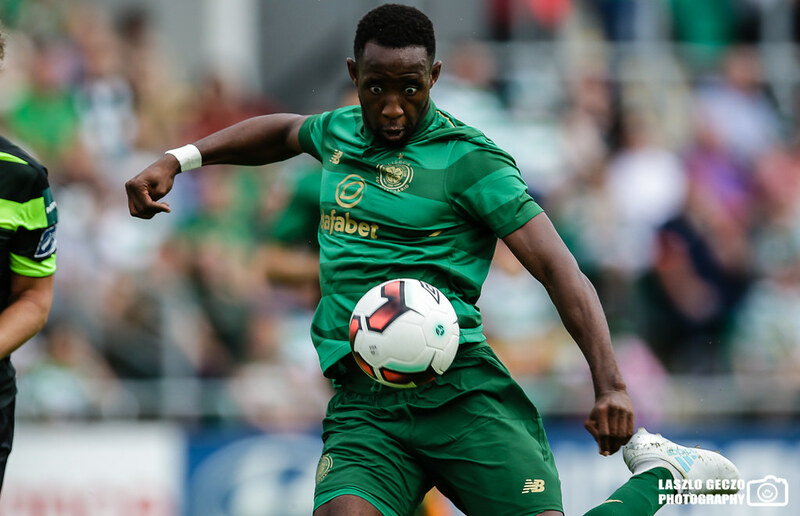 Boyd picked the ball up just inside the Celtic half and set himself before sending a shot into the afternoon sky that had Gordon frantically retreating before just about clawing the ball off the line. 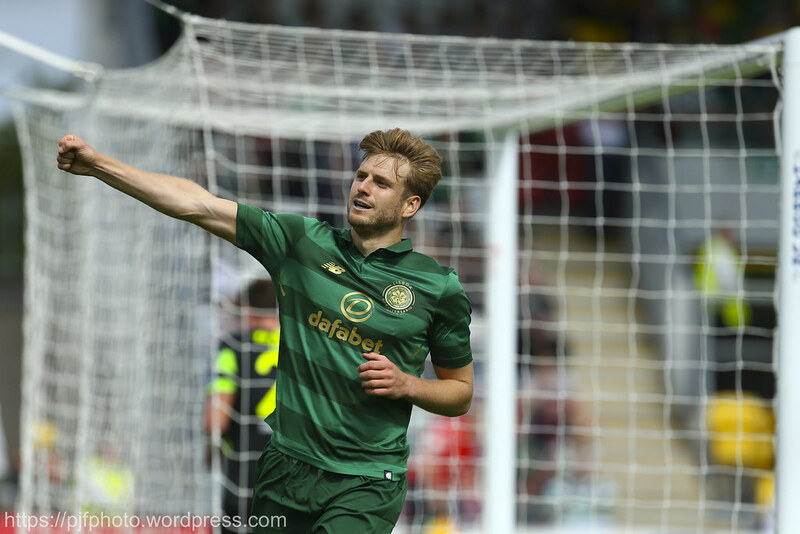 It was the wake-up call Rodgers Celtic side needed as they took the lead barely a minute later through the Swedish international right-back Lustig. 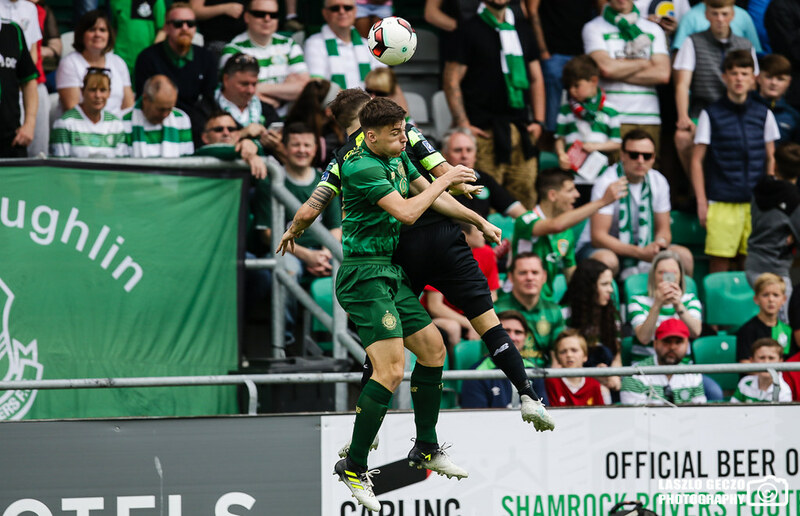 Forrest picked out Lustig's run inside Rovers' triallist left-back Dean Carpenter and the Swede hammered the ball first-time into the corner past Kevin Horgan. 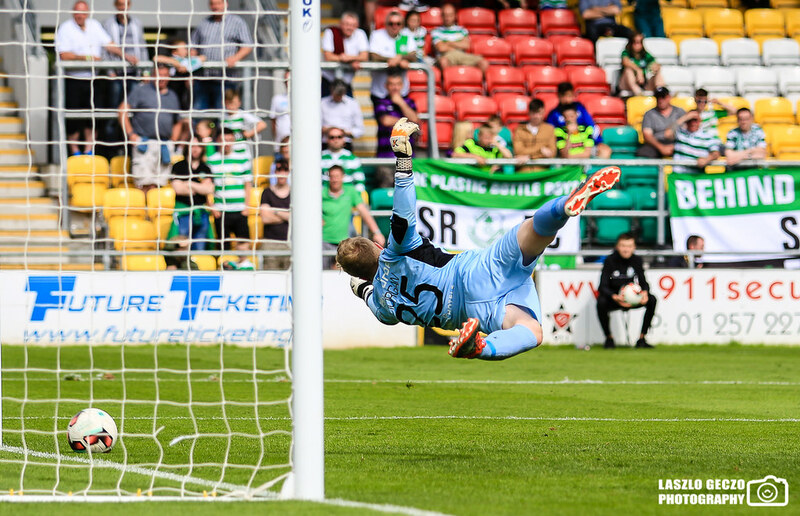 Horgan made routine saves from Forrest and Armstrong before the Rovers net was breached again midway through the half as a clearance fell fortuitously for Armstrong and the Scot hammered home. It was 3-0 shortly afterwards as Dutch triallist Tim Linthorst rushed out of defence, forcing 17-year-old Cian Collins to tuck in off the left, leaving room for Tierney to square for Dembele, who tapped into an empty net. 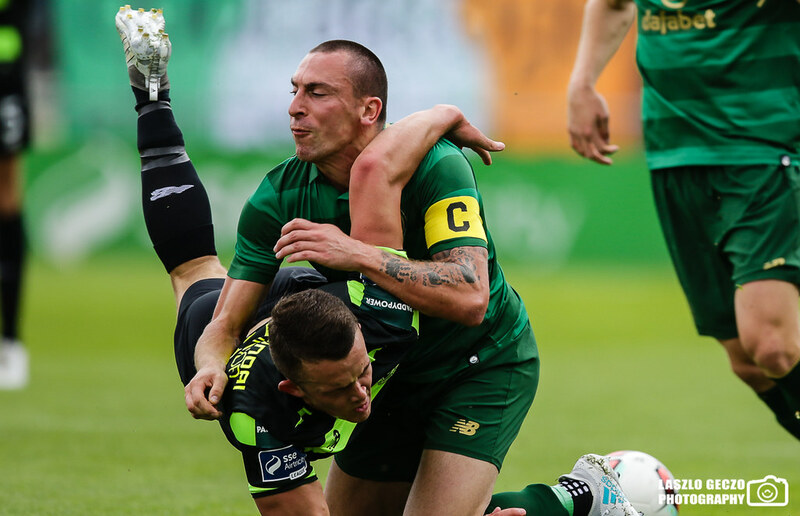 Celtic, who lost captain Scott Brown to injury in the first half, made it four before the break as Tierney again found room down the left and picked out Sinclair to finish once again into an unguarded goal. Rovers held firm for the opening quarter hour of the second half before normal service was resumed as Forrest cut in off his right wing and finished neatly off the far post. 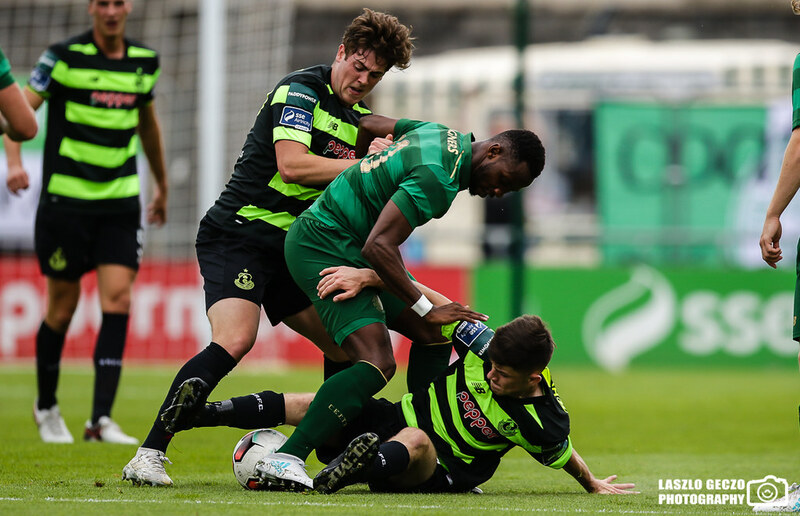 A string of changes followed for both sides but there was no let-up in the visitors' intensity against a Rovers backline now consisting of two 17-year-olds, an 18-year-old and a triallist from the sixth tier of the Leinster Senior League. 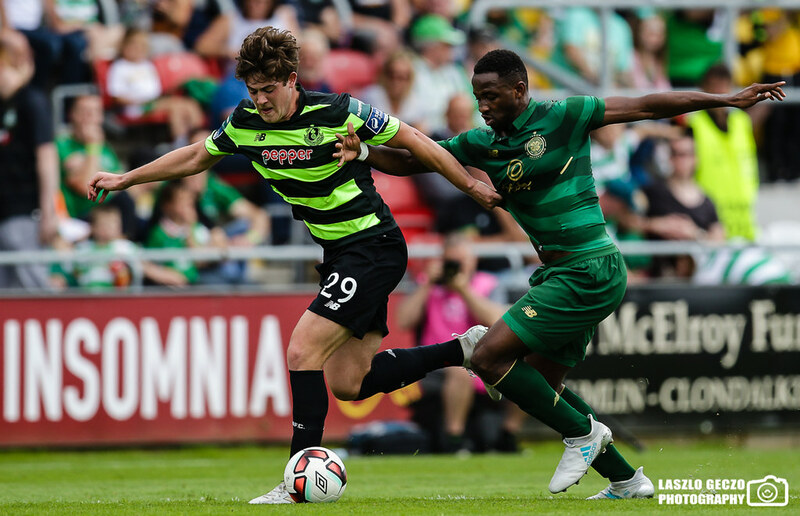 Sinclair added a sixth shortly as Rovers played a high line and he raced through. Despite a suspicion of offside, the former Chelsea man rounded Horgan before slotting into an empty goal. 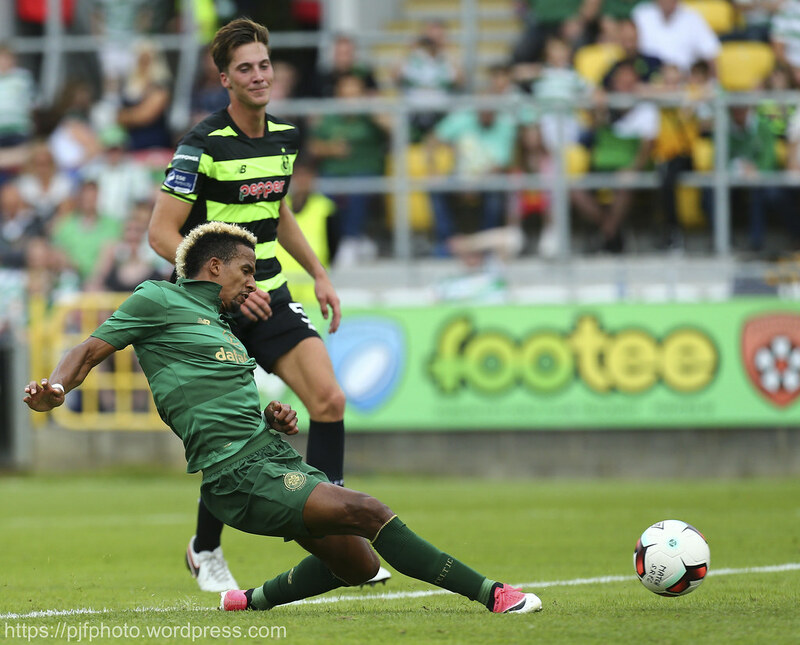 Armstrong added his second of the game with 20 minutes remaining as he was played through before Irish international Hayes – a recent recruit from Aberdeen – added number eight with a looping volley from close range. 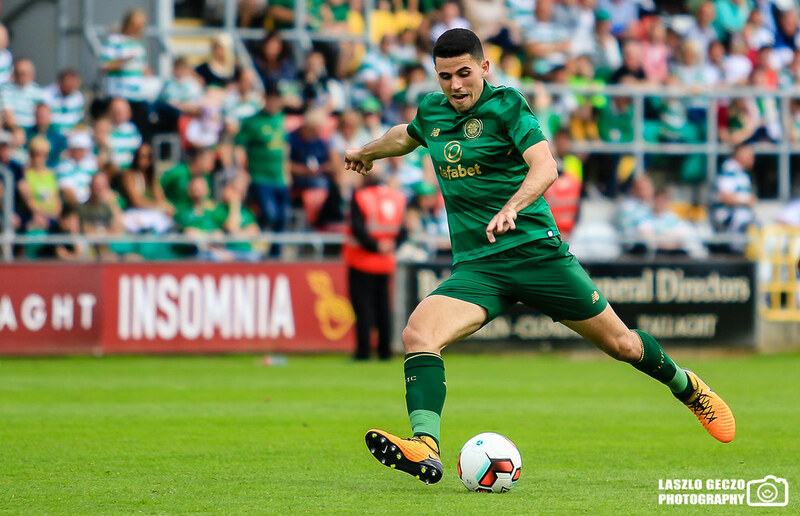 Australian international Rogic rounded off the scoring three minutes from the end as he headed home Sinclair's cross before referee Derek Tomney, perhaps charitably, blew up a minute early. 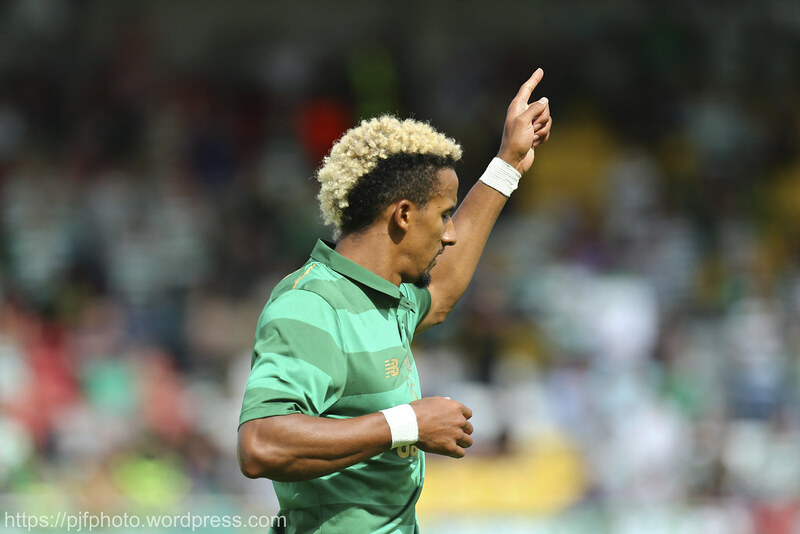 The home side were forced to plead with away supporters to leave the pitch after full-time as the Celtic squad was mobbed on the field, with the particularly popular Griffiths escorted off by security. 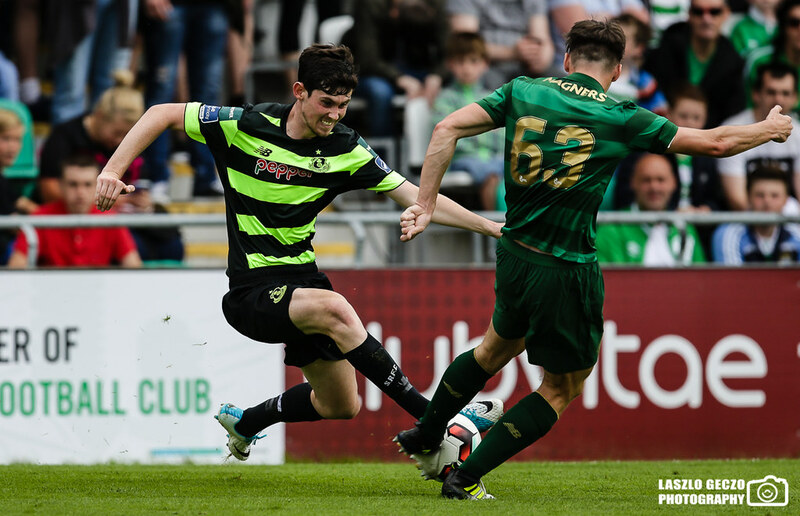 Shamrock Rovers: Kevin Horgan; Dean Carpenter (Conor Gleeson 66), Tim Linthorst (Sean Callan 59), Sam Bone (Darragh Gibbons 77), Cian Collins (Conor Fitzharris 66); Darren Meenan (Darren Clarke 46), David McAllister (Richie English 66), Aaron Bolger, James Doona (Kenny Cunningham 46); Michael O'Connor (Dean Dillon 46), Sean Boyd (Eric Abulu 77). Subs not used: Luca Grazter (gk), Eric Abulu, Darragh Gibbons. 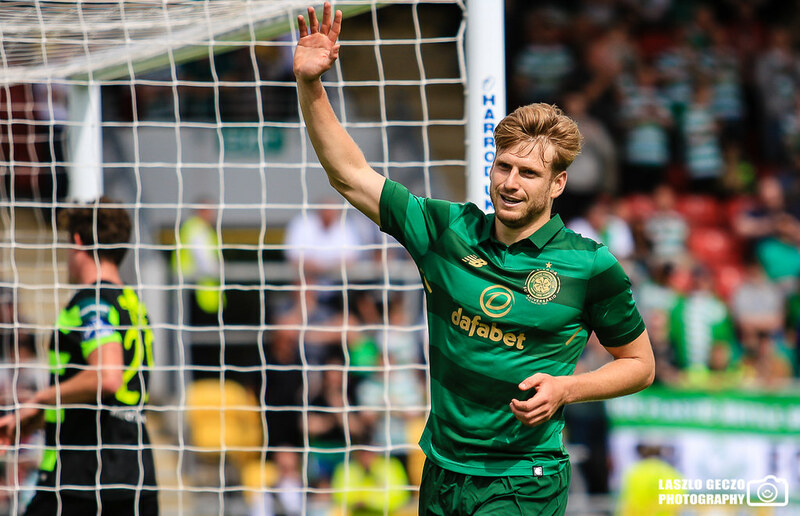 Celtic: Craig Gordon (Dorius de Vries 61); Mikael Lustig, Jozo Simunovic (Callum McGregor 72), Erik Sviatchenko, Kiran Tierney (Emilio Izaguirre 61); Scott Brown (Nir Bitton 32), Stuart Armstrong, Tom Rogic; James Forrest (Jonny Hayes 61), Scott Sinclair, Moussa Dembéle (Leigh Griffiths 61). Subs not used: Connor Hazard (gk), Gary Mackay-Steven, Jamie McCart, Liam Henderson.